Anna-mai has committed the last 16 years to working with vulnerable children. She has spent 11 years in leadership positions, including 6 years as the Director of Homeless Child, a Brazilian NGO working to tackle challenges faced by street children and their families. Since joining Chance for Childhood, Anna-mai has led the organisation through a successful rebrand and merger obtaining a 200% increase in income and winning the Collaboration Award at the BOND International Development Awards 2017. Katie has dedicated her career to international development. Her 14 years of experience in both the private and not-for-profit sectors, along with an innate passion for achieving change, make programme effectiveness her ultimate goal. Since joining Chance for Childhood in 2012, Katie has led the charity’s transition to an effective, multi-year grantee of institutional donors and has more recently championed the establishment of Chance for Childhood’s first regional office in Rwanda. 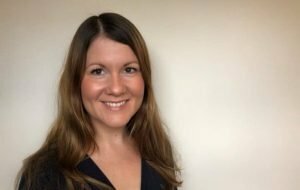 Georgina joined Chance for Childhood in January 2019, bringing over 15 years’ experience in international development within both the private and charity sectors. She comes with strong strategic leadership experience, in addition to programme design and management. She was educated in both Sierra Leone and the UK and has strong interest and experience in diaspora engagement in development. Georgina is excited by the opportunity to strengthen and grow Chance for Childhood’s programmes, ensuring positive and sustainable impact in the lives of vulnerable children and young people in the countries we work. Beatrice has over 17 years’ experience in the overseas aid and disability sector. During her career, she has worked on various projects and issues, from campaigning against landmines and cluster munitions to securing a UK Aid Match funding and running emergency appeals during humanitarian disasters. 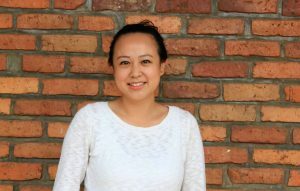 Beatrice is passionate about putting donors at the centre of fundraising and communication by bringing the stories of overseas beneficiaries to UK donors in a compelling way and building donors’ trust in the impact of our work. She is always interested in hearing from Chance for Childhood supporters so don’t hesitate to reach out to her with comments or ideas! 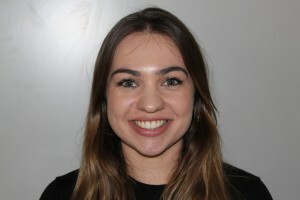 Hannah joined Chance for Childhood in March 2019 as a secondee from the Civil Service Fast Stream programme. She has worked in a variety of roles in the Department for International Trade, the Home Office and the Ministry of Housing, Communities and Local Government. Before joining the Civil Service, Hannah worked for two Brazilian NGOs in Bahia and Rio de Janeiro, both of which worked to improve access to education for children in favela communities. Hannah is looking forward to advancing the development of innovative financing models to support Chance for Childhood’s programmes and ensure the sustainability of our impact. 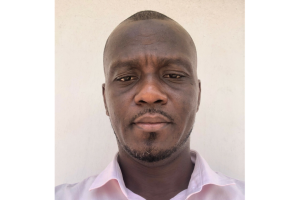 Abdul-Ghaffar is a development consultant with 15 years’ experience in the design, management and evaluation of education, local governance and social accountability projects in Ghana. His area of expertise includes supporting institutions to build result-based Monitoring, Evaluation and Learning (MEL) systems. His key priority is to support Chance for Childhood in becoming a major stakeholder in inclusive education and contribute to the national agenda. Toby recently graduated with a degree in Politics from the University of York. 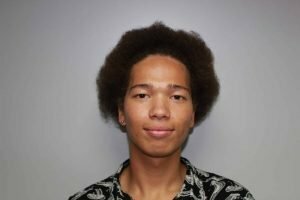 While studying, he worked in a number of communications roles, creating content for his College and working on marketing projects with the charity York Cares. 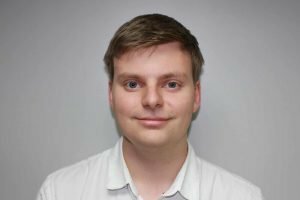 Having joined Chance for Childhood in October 2018, Toby is keen to expand our use of social media and digital marketing to enable the stories of the children we help reach new audiences. Chris is a recent graduate of UEA, first studying International Development with Economics and then an MSc in Impact Evaluation. He has enjoyed working with NGOs in the UK, Ghana and Peru with a focus on strengthening monitoring & evaluation capacity. Since joining in October 2018, Chris has supported the wider programmes team, working on research projects, donor progress reports and fund applications. He is looking forward to receiving successful grant applications and further assisting the international programmes team. 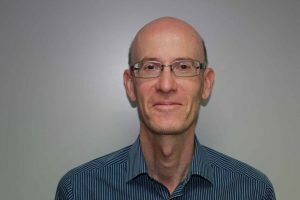 Andrew has devoted his entire working life to the not-for-profit sector, in local government and NGOs and charities in Uganda and the UK. He has worked for CARE International, Global Witness and Child Soldiers International. Since joining Chance for Childhood in 2016, Andrew has committed himself to finding ways to improve efficiency and save on support costs to maximise the funds that are available to help the most vulnerable. Andrew is also one of our two Child Protection Officers. 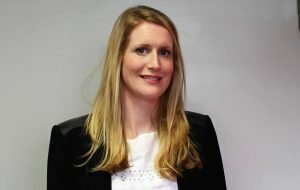 Debby has over 10 years’ experience of charity finance since joining Street Child Africa with whom Chance for Childhood merged at the end of 2016, building on her 14 years with one of the UK’s major accountancy firms. 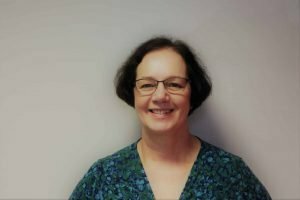 Debby is passionate about using her spreadsheet skills to help the organisation effectively manage its work with its partners and passing on her experience to develop the financial management skills of both our team and those with whom we work. Franklin has over 14 years’ experience in the International Development Sector. 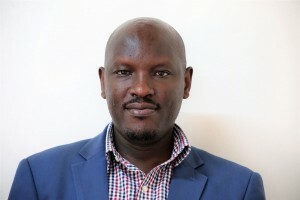 He has worked with several international development organizations in Rwanda, including Care International, SOS Children’s Villages and the Ministry Gender and Family Promotion where he was an Advisor on Women Empowerment and Family Promotion. His recent role was Director of Programmes for SOS Children’s Villages Rwanda where he coordinated national programmes. Having joined the team in September 2018, he is looking forward to contributing to the growth of Chance for Childhood’s programmes in Kenya to address underlying causes of vulnerability for children and young people. 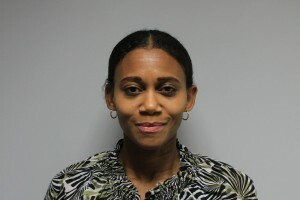 Ven is a finance and accounting professional with over 12 years of experience. She holds an MBA in Finance from Coventry University and has worked both in the private and charity sectors. For the last 10 years she worked at ADRA Rwanda, most recently as Director of Finance. During her tenure, she successfully established and streamlined financial operations, systems, and internal controls providing enhanced transparency. Having joined Chance for Childhood in October 2018, she is looking forward to applying her experience to her work in Rwanda. Alessandra joined Chance for Childhood in August 2017 after over 5 years’ experience in international development and the NGO sector. She previously covered a variety of programme delivery and research roles focusing on child protection, education and early prevention. Since joining the team, Alessandra has been managing Chance for Childhood programmes in Uganda and DRC. Passionate about achieving and measuring social change, at Chance for Childhood she is also focusing on strengthening the way we evaluate and communicate impact. Helen is a recent graduate from Royal Holloway, where she studied History with French. Since graduating she has worked at the National Farmers’ Union, working on research projects with a diverse range of themes – from Brexit, to drought, to the impact of the National Living Wage. 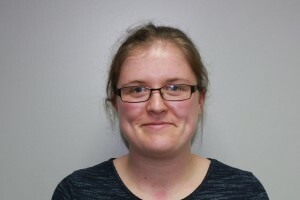 Having joined Chance for Childhood in November 2018, Helen is looking forward to helping the team work efficiently and communicating with both new and existing supporters. Since 2012, Connie has been working with partners in Central America and North and Sub-Saharan Africa supporting and designing developmental programmes addressing some of the most pressing needs concerning children’s rights. In between fundraising and programmes management, Connie has successfully set up Chance for Childhood’s first regional office in Kigali, Rwanda in 2017. She has strengthened and advocated for the organisation’s inclusion work resulting in Chance for Childhood being regarded as one of the few inclusion experts in Rwanda. Connie is also one of our two Child Protection Officers.